The Santa Clara County District Attorney's Office has charged two people with running a real estate scam in Campbell and two alleged victims have filed a $100 million federal civil racketeering suit against them. 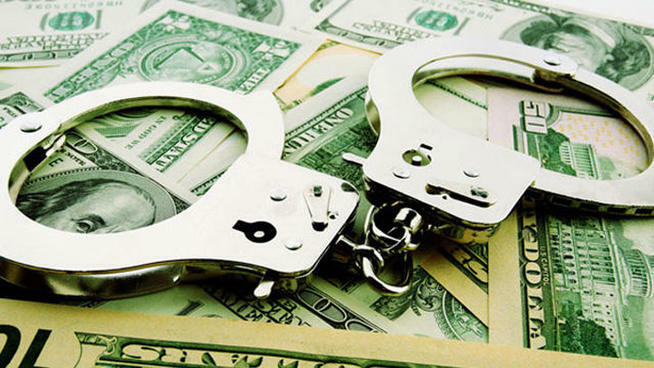 Terrance Brown and Antranik Kabajouzian are charged with grand theft and securities fraud in an alleged scheme that bilked 25 victims out of $3.5 million, Deputy District Attorney Katharina Wells said. We can't determine guilt or innocence here based upon a mere news report, but we can say that this story is a reminder to do due diligence before turning over money, especially in such quantities. Where were the insurance policies? Where is the surety bond? Where were the audited financials? Where were the existing customers with glowing reports and no important negatives going unaddressed? With that much money on the line, why not have taken a weekend plane trip to Detroit to verify the properties and tenants? The list goes on. Unemployment in the euro area continues to rise. 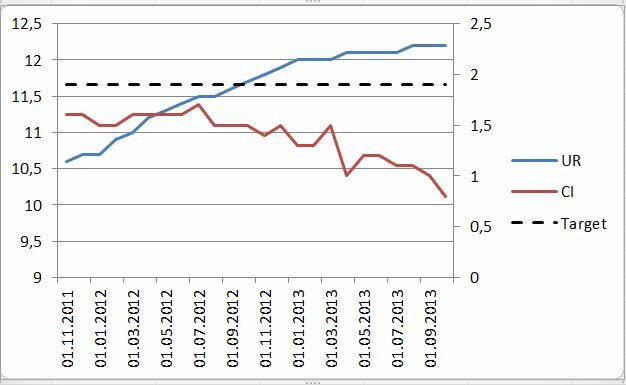 On today's figures (which are seasonally adjusted) another 60,000 wasted lives and wasted opportunities for wealth creation in the euro area in September, compared with the previous month, and one million more than a year ago. I know of no economic theory or textbook that would call on macropolicy to sit on its hands faced with such trends. Meanwhile the US FED continues to buy USD 85 bn of longer-term bonds every month. The Bank of Japan has today reiterated a commitment to buy USD 74 bn of bonds every month until the end of 2014. Linked to all this, and given the passivity of the European Central Bank, the euro goes from strength to strength, which might sound good but is draining the life out of the Euro Area recovery. The euro dropped recently relative to the US dollar on positive US economic news; but in our view, Andrew Watt is certainly correct long-term. You can feel William K. Black's anger at everyone with sway or in a position of power and authority who is turning a blind eye to the fraud perpetrated in the lead-up to the Great Recession. An epidemiologist would have been particularly interested in the non-crisis in this era. This was the 1990-1991 surge in lending that we now call liar's loans that we drove out of the S&L industry. Recall Akerlof and Romer's warnings about loans made without underwriting being strong evidence of accounting control fraud. Given the dominant role of accounting control fraud in the S&L debacle, the 1990-1991 genesis of liar's loans, and the Enron-era scandals an epidemiologist would have known where to start looking if she were asked to study this crisis. She would have begun by looking for evidence of accounting control fraud. Similarly, what would we call an engineer who designed homes that had an average life expectancy of three years before they collapsed and caused enormous losses? I'd call them a "financial engineer." Bad economists are very good at appropriating these favorable professional labels to try to pretend to science. Anyone familiar with how a real engineer is trained and their professional ethos of safety and care for protecting others from injury knows that Wall Street "financial engineers" are the opposite of real engineers. Wall Street "financial engineers" are selected on the basis of their ethos of making themselves wealthy at the expense of their clients and then mocking the clients when they suffer losses. Financial engineers view customers as sheep to be sheared (the actual Wall Street verb for what should be done to customers are too vulgar for publication). Only a theoclassical economist like John Taylor would proclaim, without ever studying or discussing the three most destructive fraud epidemics in world history, would issue a dogmatic statement, that this is the first virgin crisis, conceived without sin [in] the corporate "C" suites. PHOENIX-Area commercial real estate metrics continue pointing to solid improvement. 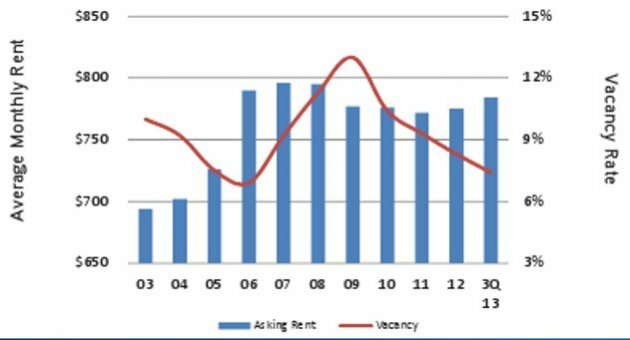 The latest report, Collier International/Phoenix's Multifamily Research & Forecast Report for Q3 2013, shows vacancy at 7.4%., a decline from the 8.2% reported a year ago. How to qualify retail shopping center tenants? The article contains excellent details concerning each question. They are also useful questions for the tenant to think about before he or she begins looking. Something very important that is missing though is in-place or planned insurance coverage. Why wait only to find out that obtaining all-important insurance hasn't been adequately factored into the financial plan? Inadequately covered tenants make for greater risk all the way around. ... before you invest in real estate, you should educate yourself on the local laws, practices, customs, ethics and market conditions. It also does not hurt to learn a bit about construction costs, building codes and materials, how mortgages work and how the local sales and/or rental market is performing. It is also an excellent idea to locate a local mentor who will allow you to observe how things are done in the area and who is willing to take some time to answer the never-stupid questions you may have about how a real estate investment deal actually gets done. ... you should attend local events. There are local real estate investor associations run by folks who have done and are doing local real estate deals and who are willing to share their expertise and resources. Many libraries have excellent real estate resources available for free. Most community colleges have classes on real estate investing, real estate brokerage, home renovation and the like. Stores like Home Depot and Lowe's offer free weekend classes on renovation projects. 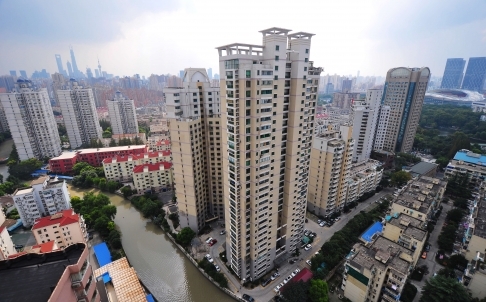 Chinese home prices rose faster in October than the month before on strong demand and the launch of new housing projects, an independent survey showed Friday. They haven't been able to cool the overheated market. It's only been getting hotter. Can China grow itself such that all the vacant properties become occupied by people who can afford them without a huge Chinese recession or even depression?